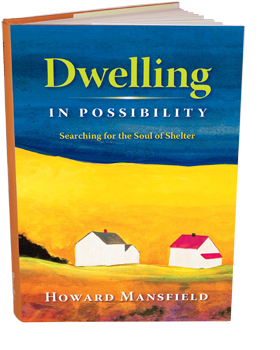 Dwelling is an old-fashioned word that we’ve misplaced. We know within seconds upon entering a new house if we feel at home. We know when a place makes us feel more alive. 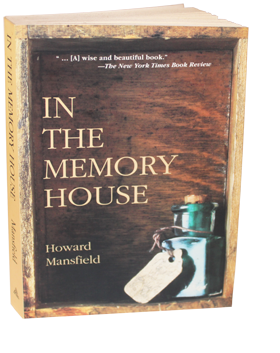 This is the mystery that interests Howard Mansfield — some houses have life, are home, are dwellings, and others don’t. 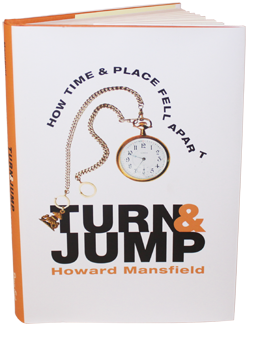 This is a book about time and place. They were once inseparable. Science historians note that before Thomas Edison, light and fire were the same thing; after Edison they were separate. The same can be said of time and place. The origins of our 24/7 world can be found in this great change. 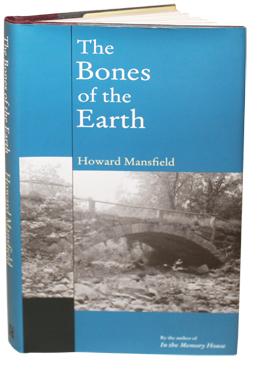 The Bones of The Earth is a book about landmarks, but of the oldest kind—sticks and stones. For millennia this is all there was: sticks and stones, dirt and trees, animals and people, the sky by day and night. The Lord spoke through burning bushes, through lightning and oaks. Trees and rocks and water were holy. They are commodities today and that is part of our disquiet. 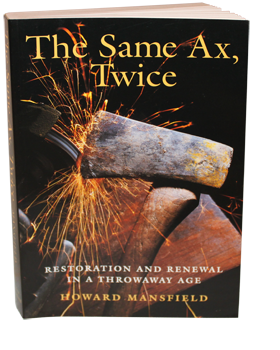 An old farmer boasts that he has used the same ax his whole life—he’s only had to replace the handle three times and the head twice. 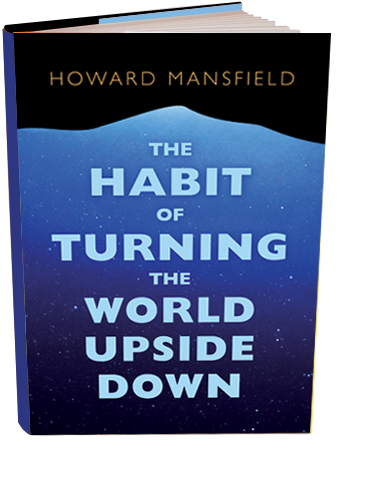 In an eclectic, insightful meditation of the powerful impulse to preserve and restore, Howard Mansfield explores the myriad ways in which we attempt to reconnect and recover the past—to use the same ax twice. 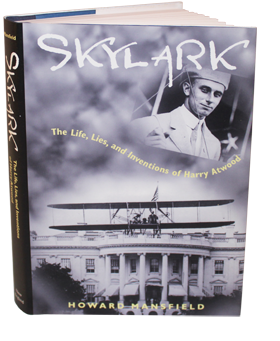 Skylark: The Life, Lies and Inventions of Harry Atwood is the story of one of the great pioneers in American aviation chasing the dream of flight. Harry Atwood was a Wright Brothers-trained aviator, inventor and con man, a headline hero who fascinated the media for three decades and died in obscurity in Hanging Dog, North Carolina in the days before the moon landing. 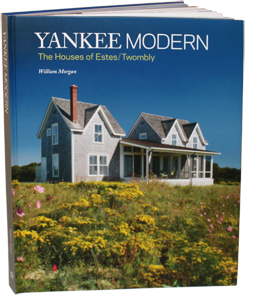 Architects James Estes and Peter Twombly have described their nearly two decades of work as “quiet modernism.” Their Rhode Island-based firm, Estes/Twombly Architects, builds modestly sized and geometrically precise houses that are unique to their New England locale. These award-winning homes reflect the area’s strong architectural heritage—white cedar shingles, sliding barn doors, standing-seam metal roofs—without being derivative. Over the years, architectural photographer Brian Vanden Brink, has stolen time from photographing the homes of the affluent to focus on deserted homes and architectural ruins. 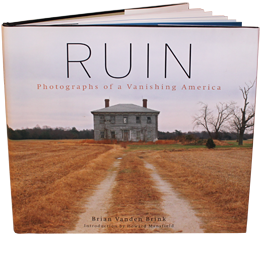 In Ruin, Vanden Brink illuminates in stunning color and black and white images churches, mills, bridges, grain elevators, storefronts, a lead smelter, and the pitch-black depths of a plutonium storage vault. Through Vanden Brink’s lens, these structures become iconic, representing an America that was built and then abandoned. 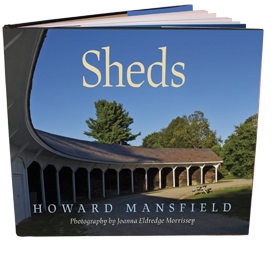 With an introduction by Howard Mansfield, this collection of photos grants permanence to places that may soon vanish forever. 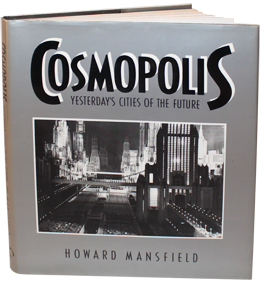 The twentieth century saw a grand procession of promises for the city. We would have cities of glittering white towers planted in green parks, as the great modern architect Le Corbusier dictated. 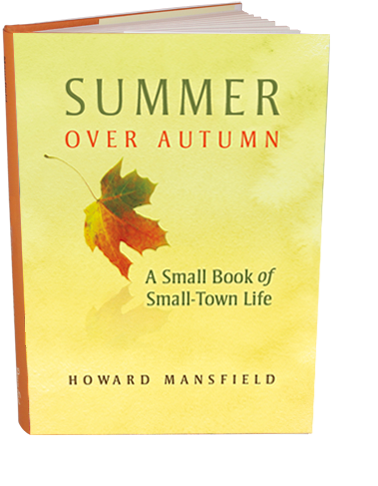 Or we would have cities with no downtown, cities spread across the countryside with each family on its homestead, as Frank Lloyd Wright proposed. Or we would live in paradise on the 100th floor with our airplane hangared next door, as Hugh Ferriss and the other skyscraper utopians of the 1920s promised. Christopher Hogwood is definitely a pig with personality! He’s bright, curious, and has just a slight infatuation with rich, inviting mud. 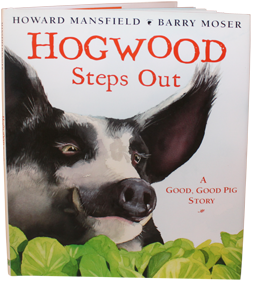 Hogwood Steps Out is Howard Mansfield’s fictionalized account of his own pig’s behavior on a fine spring day, a pig made famous in his wife Sy Montgomery’s book, The Good Good Pig. 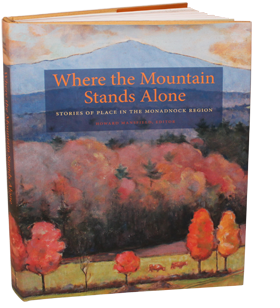 Barry Moser’s luminescent paintings give Hogwood a personality that is all his own, allowing him to remind us to notice all the little wonderful things that surround us every day.